If you don’t enjoy taking a new driver’s license photo, you are not alone. Many individuals dread having to take a driver’s license photo. In any case, this driver’s license picture is used as identification, so it is important for the photo to be acceptable and presentable. 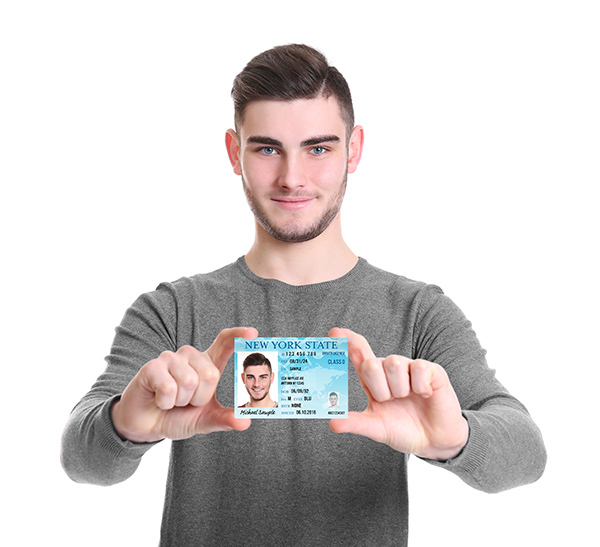 Drivers-Licenses.org offers drivers plenty of information about licensing services, and the team has even come up with various important tips for taking the perfect driver’s license photo. Use the tips below to make sure your driver’s license photo comes out picture-perfect. It is important to dress well when taking your license photo. The driver’s license can be used as a primary form of identification, so you want to be clean and presentable in the picture. Although it is important to wear a cohesive, professional outfit, Drivers-Licenses.org stresses the importance of focusing on your outfit from the chest up. Your driver’s license photo will not show what you are wearing below. Avoid wearing any busy patterns or crazy colored shirts, and do not wear excessive jewelry. Wear a color you feel confident in, but avoid wearing an all-white shirt. The background of your driver’s license picture will most likely be a lighter shade, and wearing white will make lighter skin tones appear pale. Avoid wearing a black shirt as well, as this dark color will also wash out your complexion. The team at Drivers-Licenses.org suggests wearing a softer color such as pink or blue. For extra flair, female drivers can complete their outfit with a pair of subtle yet stylish earrings. Since your driver’s license photo will only capture an image from the chest or neck up, it is important to use the most flattering makeup. The lighting and angle of a driver’s license photo are not ideal; thus, it is important to highlight your best features. The experts at Drivers-Licenses.org suggest not wearing heavy makeup and focusing on achieving a more natural appearance. It is important to look your best while also looking like yourself. Avoid dramatic red lipstick or heavy eyeliner. Instead, stick to a more natural look with a touch of foundation and mascara. Utilize pink- and brown-colored cosmetics to achieve a desirable look, and don’t forget to make sure your hair is out of your face and styled. Furthermore, it’s best to use your traditional hairstyle for the picture and to avoid new styles, because you want to look like yourself for this piece of identification. A smile is one of the most important elements of a perfect driver’s license picture. The team at Drivers-Licenses.org recommends going into the DMV with a positive attitude to take a picture that glows. Just don’t force an unnatural smile. Smile naturally to achieve a pleasant expression. And, as silly as it sounds, try out a few smiles in front of the mirror before deciding which to use on your license photo.